Gustav Sturm was born on 10 November 1921 at Linz. By November 1942, Sturm was serving with JG 27 based in North Africa. Feldwebel Sturm was assigned to 2./JG 27. He recorded his first victory on 15 November when he claimed a Herauschuss over a USAAF B-24 four-engine bomber near El Agheila. Shortly afterwards, 2./JG 27 was withdrawn to Krefeld in Germany for rest and re-equipment. In January 1943, Sturm relocated with 2./JG 27 to Evreux in France. Various moves around France followed without Sturm adding to his victory total. By mid August, 2./JG 27 was based at Münster-Handorf and it was while based here that Sturm recorded his second victory, a Herauschuss over a USAAF B-17 four-engine bomber near Aachen on 12 August. On 22 August 1943, 2./JG 27 was relocated to Fels am Wagram in Austria. Sturm was to be particularly successful against the USAAF four-engine bombers of the 15th USAAF raiding Germany from bases in Italy. He recorded two B-24s shot down on 23 February 1944 near Wels to record his fifth and sixth victories and repeated the feat against B-17s on 25 February near St Veit (7-8). Sturm recorded his 10th victory on 2 April when he shot down a B-24 near Jüdenburg.  By August 1944, Leutnant Sturm was serving with 6./JG 3, based in France. He recorded one victory with the unit, a USAAF P-51 fighter shot down during August. Sturm was appointed Staffelkapitän of the Stabsstaffel of JG 51 on 26 August 1944. He recorded at least one victory with the unit, an Boston twin-engine bomber shot down on 14 September. On 7 January 1945, Sturm was transferred to 10./EJG 2. By March 1945, Sturm had converted on to the Me 262 jet fighter and was serving with III./JG 7. He recorded at least five victories flying the jet, all four-engine bombers, including two RAF four-engine bombers shot down near Hamburg on 31 March (21-22). On 25 April, now based at Ruzyne in Czechoslovakia, Sturm attempted to rescue a colleague from a Me 262 that had crash-landed and caught fire. As he reached the burning machine it exploded and he suffered serious chest wounds. The wounds were serious enough that Sturm took no further part in the war. Sturm died on 20 January 1973 aged 51. 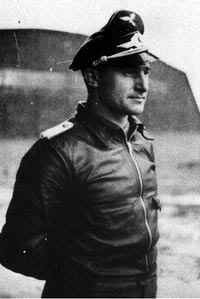 Gustav Sturm was credited with 22 victories. Included in his victory total are 17 four-engine bombers. He recorded five victories while flying the Me 262 jet fighter, all four engine bombers.